How to Use the zipc "Library"
zipc A Simple ZIP Container "Library"
Note: You can only read one file from a ZIP container at a time. The zc argument is the container and “META-INF/container.xml” specifies the filename within the container. Note: You can only add one file to a ZIP container at a time. The zc argument is the container, “META-INF/container.xml” specifies the filename within the container, and the 1 value specifies that the file should be compressed. You would specify 0 to add the file without compression. Files created in this way are always stored uncompressed. If you forget to include a trailing slash, one will be added for you. The zipc_t object tracks a ZIP container that was opened with the zipcOpen function. The zipc_file_t object tracks a single file in a ZIP container that was created using the zipcCreateFile function. The zipcClose function closes a ZIP container file, writing the central directory for every file and directory in the container. 0 is returned on success or -1 on error. The zipcCopyFile function copies an existing file srcname into a ZIP container file dstname. If the text parameter is non-zero then the file will be stored as plain text. If the compressed parameter is non-zero then the file will be compressed when copied into the container. 0 is returned on success or -1 on error. The zipcCreateDirectory function creates a directory in the ZIP container. 0 is returned on success or -1 on error. The zipcCreateFile function creates a file in the ZIP container for streamed writing. If the compressed parameter is non-zero then the file will be compressed in the container. NULL is returned if the file cannot be created. Data is written to the created file using the zipcFilePrintf, zipcFilePuts, zipcFileWrite, and zipcFileXMLPrintf functions. The file is “closed” using the zipcFileFinish function. The zipcCreateFileWithString function creates a file in the ZIP container that contains the contents string. The file is not compressed. 0 is returned on success or -1 on error. 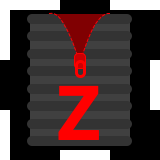 The zipcError function returns the last error message for a ZIP container. NULL is returned if no error has occurred. The zipcFileFinish function “closes” a ZIP container file that was created using the zipcCreateFile function. 0 is returned on success or -1 on error. The zipcFileGets function reads a line of text from a ZIP container file that was opened using the zipcOpenFile function. The line may be terminated by a carriage return and line feed (Windows-style) or just a line feed (everybody else). The line ending is not copied to the line buffer. 0 is returned on success or -1 on error. The zipcFilePrintf function writes a formatted string to a ZIP container file that was created using the zipcCreateFile function. The format string uses the same syntax as the printf function. 0 is returned on success or -1 on error. The zipcFilePuts function writes a literal string to a ZIP container file that was created using the zipcCreateFile function. 0 is returned on success or -1 on error. The zipcFileRead function reads a buffer of data from a ZIP container file that was opened using the zipcOpenFile function. The actual number of bytes read is returned on success or -1 on error. The zipcFileWrite function writes a buffer of data bytes to a ZIP container file that was created using the zipcCreateFile function. 0 is returned on success or -1 on error. The zipcFileXMLGets function reads an XML fragment from a ZIP container file that was opened using the zipcOpenFile function. The text or element from the XML file is stored in the buffer pointed to by fragment whose size is fragsize. Text fragments have XML escaping removed. 0 is returned on success or -1 on error. The zipcXMLGetAttribute function can be used to retrieve the attribute values from XML element fragments. The zipcFileXMLPrintf function writes a formatted XML string to a ZIP container file that was created using the zipcCreateFile function. The format string supports the “%%”, “%d”, “%f”, and “%s” printf directives, where the “%s” (string) directive handles escaping of special XML/HTML characters. 0 is returned on success or -1 on error. “r” indicates that the ZIP container file is opened for reading. “w” indicates that the ZIP container file is opened for writing, replacing any existing file of the given name. NULL is returned if the file cannot be opened or created. The zipcOpenFile function opens a file in the ZIP container. NULL is returned if the file cannot be found. The zipcXMLGetAttribute function retrieves the attribute value from an XML element fragment read using the zipcFileXMLGets function. The value is copied to the buffer with escaping removed. NULL is returned if the named attribute is not present in the element.